These photos are from my first trip to Mono Lake in 2002. Most of these photos were shot with film (many on Kodachrome), and for whatever reason this is one of the most challenging batches of slides I have come across to scan with good color. This was an education in scanning, as the scans wanted to have a color cast that was very hard to get rid of. (Possibly there was a processing problem, as the slides themselves seem to have a pink cast.) I also had my 3MP Olympus C-3030 with me (my first digital camera), and some photos were taken with it. 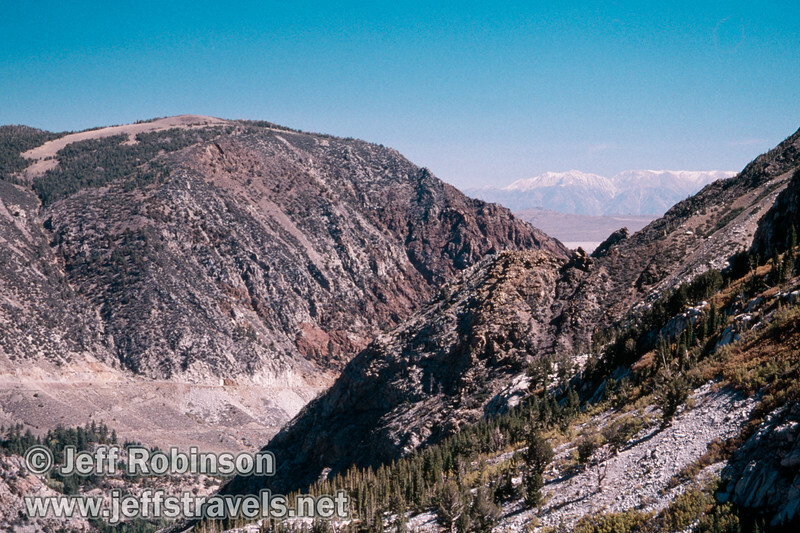 The photos start with some views going down highway 120 towards Mono Lake from Tioga Pass. The first views of Mono Lake are from the turnout/scenic viewpoint on highway 120 near US-395. From there we traveled to South Tufa, and ended at Mono Lake Park at sundown (NW corner of lake).